Open source software has proven to have many benefits for enterprises as well as developers, however, they also pose significant risks as they are prone to a number of open source vulnerabilities. These are particularly related to application security. A number of developer teams rely largely on open source software to quicken the delivery of digital innovation. Traditional, as well as agile development processes and workflows, often make use of per-built and reusable open source software components. However, the problem lies in the fact that most open source software is often not subject to the same level of checks as compared to software that is custom built. Most of the development work is crowd-sourced to a large community of developers who often have little understanding of the security concerns that may arise based on the organization’s use of the software. Listed below are some of the popular tools and their USPs that might help you manage vulnerability in open source software. The NSP is known largely for its work on tracking security of Node modules and NPM dependencies. The project offers tools that scan and finds vulnerabilities using some public vulnerability databases like NIST National Vulnerability Database as well as its own, inbuilt database. The project was recently acquired by npm and integrated into the latest version of npm in the form of npm audit. It is a script to check whether any public vulnerability has been found in your packages and node modules. OSSIndex is a repository of software information that focuses on vulnerability issues. It extracts its information from NPM, Nuget, Maven Central Repository, Bower, Chocolatey, and MSI. Along with its own database that leverages the NIST NVD, it also pulls vulnerability information from mailing lists and various other sources. Bundler-audit is an open source command line tools that checks for dependencies focused on Ruby Bundler. It retrieves its vulnerability information from the NIST NVD and RubySec, a Ruby vulnerability database. Apart from open-source tools, there are commercial tools like: Hakiri, Snyk, WhiteSource, Gemnasium etc. Most of these tools provide dependency checks for a projects based on a wide-array of languages via static code analysis. Apart from that, they also offers free plans for publicly accessible open source projects and paid plans for private projects. In addition to offering tools to identify known vulnerabilities, commercial tools also assists developers to fix these issues with guided upgrades and open source patches. Build a replacement package in-house according to your organization’s needs. Patching the library and giving it back to the community is probably the best option of the three. Anyone using the library will benefit from it and you can expect more community members to join in. Apart from that, being popular in the open-source circles will help your company build reputation which is always a good thing. Automating some of the tasks and integrating additional layers of security can prevent you from having vulnerable dependencies in the first place. Let’s have a look at the best practices to integrate security compliance practices. Make Security a Company-wide Culture – Security policy should span across departments and usually involves close collaboration with the organization’s IT R&D department. Focus on Compliance – Year round compliance goes a long way in mitigating security risks and helps organizations avoid costly fines later. Compliance represents a set of tools and best practices for keeping your application secure and free from possible attacks. Creating a set of policies that support action and automation for constant compliance helps avoid regrettable data breaches and other security vulnerabilities. Address Internal Threats – Written policy is something that is good to have in place and supports an IT culture of better security, it is important to complement this with employee training and awareness. Encouraging an atmosphere of ‘see something, say something’ is a helpful way of ensuring each employee in an organization plays a part in ensuring security and compliance. Probably the most comprehensive way of improving the security of the open source software your organization uses is to test the security of each open source code. Open source analysis is almost as important as proprietary code, because not only could the code have unknown security vulnerabilities, its dependencies and functions may differ between each use case. Therefore, a component that may be secure in one application may be insecure when used in a different application. Build gate checks, constraints and validations for your components and dependencies so that some of the milder vulnerabilities in your dependencies won’t have an impact on your application. Security testing and code review are the only sure ways to detect these issues. Risks cannot be effectively addressed without keeping an eye out for accurate knowledge of your environment and threats. With access to comprehensive threat intelligence, an organization can understand and respond to negative challenges before a possible data breach because of a vulnerability. For instance, ensure that your organisation has taken measures to keep track of security updates for both direct and indirect dependencies in a timely manner. In addition to that, keep note of modern threats and whether any of those threats are capable of having an impact. OrangeScrum is an Enterprise Open Source Project Management & Collaboration tool that helps you to organize your tasks, projects, resources, docs, invoices, expenses & timesheets at one place. It offers both Open Source and Cloud version. 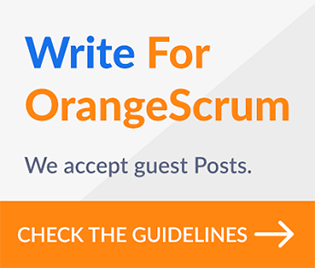 To know more details, visit orangescrum.org. You can use OrangeScrum to manage and track your bug & issues at one place. 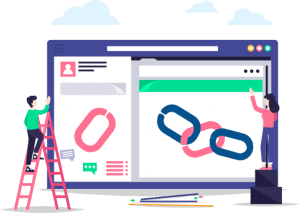 Read here how you can use OrangeScrum as a Bug Tracking System or you can check out the Bug & Issue Tracker feature of OrangeScrum here. Download our free Open Source Project Management Tool to manage your projects, bugs, tasks, users to maximize your productivity. Want a personalized demo, schedule a demo here.